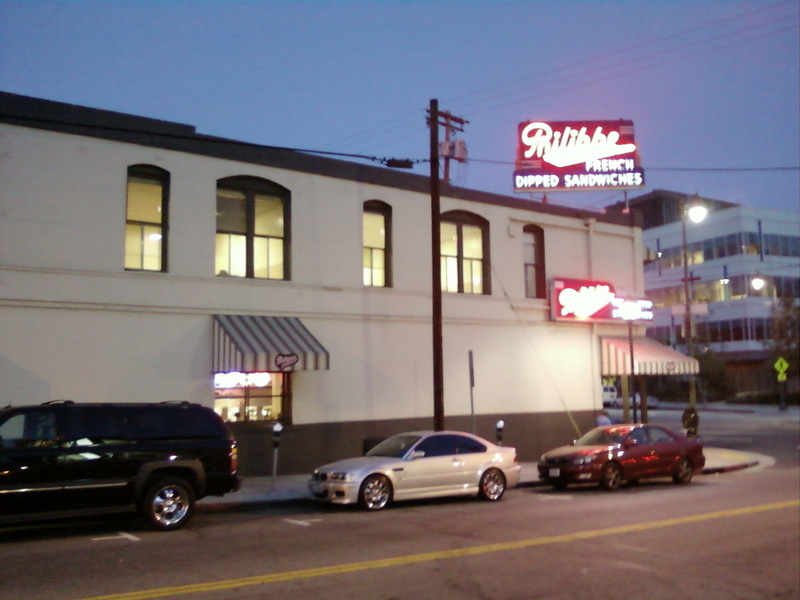 My friend took me to this place, Philippe’s French Dipped Sandwich eatery, in Los Angeles. This business has been around since 1908. What’s even more impressive is that they have remained in the same location since their establishment! 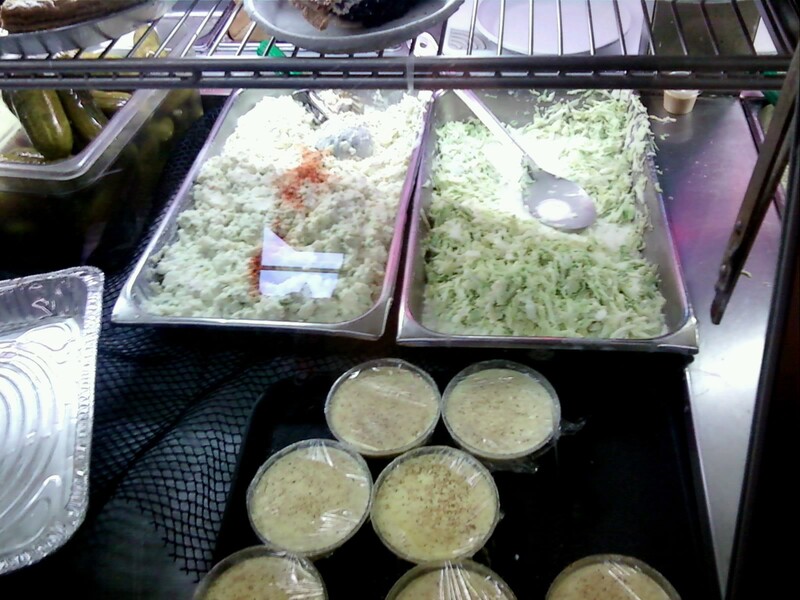 Upon first entering, I was amazed by the number of customers; four or five lines were formed with customers eager to place their orders at the counter for the classic grub. The inside houses remnants from Philippe’s early years with wooden booths, old telephone booths, pictures, and even saw dust covering the floor like the olden days. I was kind of turned off by the saw dust but still willing to try the food. 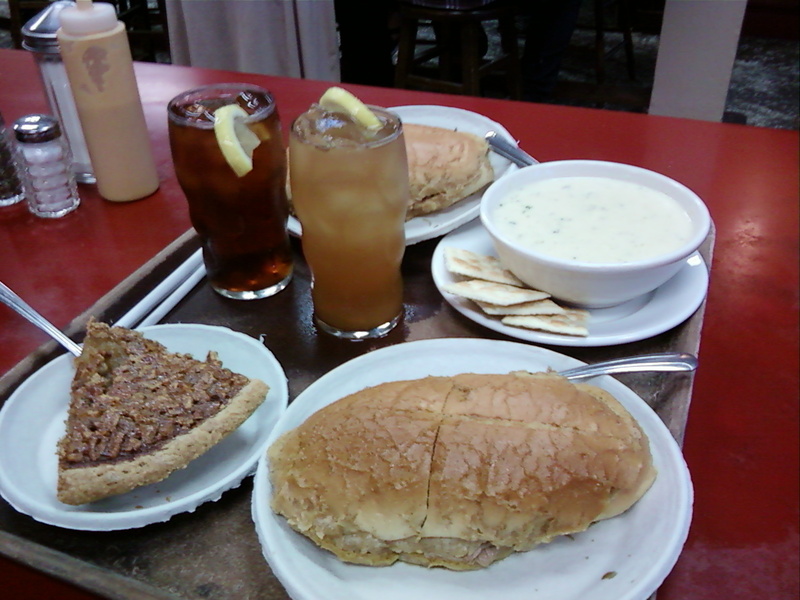 I had a roast beef French dipped sandwich, iced tea, cream of broccoli soup, and some pecan pie. 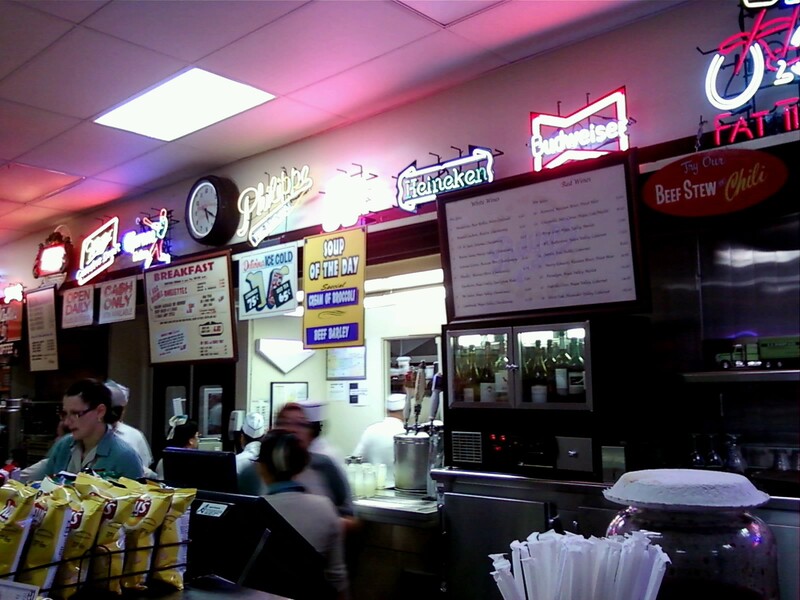 The food was relatively cheap and very satisfying, a classic American cuisine. The meat is pre-dipped in au jus sauce for you, so all you have to do is chow down and enjoy. I love my soups and Philippe’s cream of broccoli is by far the best version of that dish I’ve ever had. It was very creamy, a little sweet, and adorned with chunks of broccoli. The pecan pie tasted delicious and not as sweet as I had expected but that was a GOOD thing. This entry was posted in Food and tagged American, Eatery, Food, Food Review, French-dipped, LA, Los Angeles, Old-Fashioned, Philippe's, Sandwiches by AJ. Bookmark the permalink.